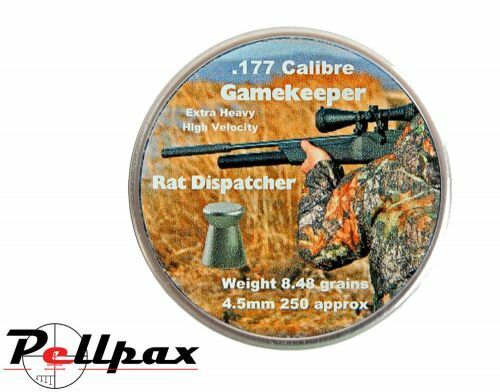 Designed for close range pest control, these flat head pellets are great for dispatching of rats and other vermin thanks to their rapid expansion that ensures one hit kills for minimal suffering. Weighing in at around 8.5 grains, these pellets are mid sized and are consequently suitable for rifles and pistols of both the spring and gas powered variety. Sold in tins of 250. Add this item to your basket & spend an extra £491.50 to apply for finance.